I’m sitting here at the Minneapolis airport at 8 pm hoping and praying that my late night flight to Minot has not been canceled due to this wonderful storm circling around Minnesota and North Dakota. All the flights to Fargo have been canceled, but I have high hopes for my flight…at least I think I do. 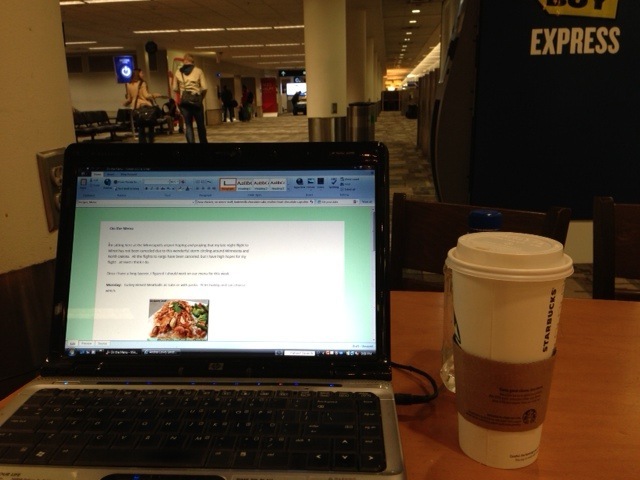 Since I have a long layover, I figured I should work on our menu for this week. Monday: Turkey Breast Meatballs as subs or with pasta. I’ll let hubby and son choose which. 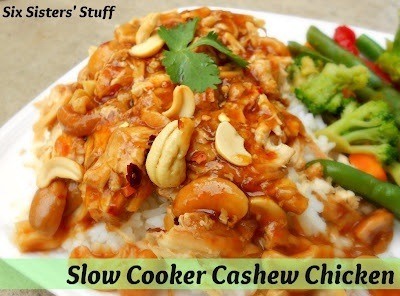 Tuesday: Slow Cooker Cashew Chicken from Six Sisters’ Stuff. This is my one new “pin” recipe to try this week. It looks yummy and easy to make! 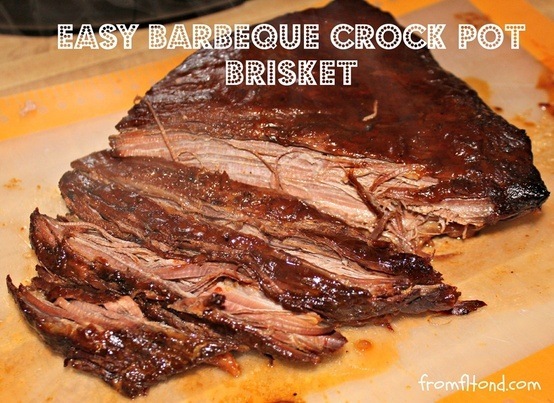 Wednesday: Easy Barbeque Crock Pot Beef Brisket…This is my own recipe that is a family pleaser. I also know that I’m making two Crock Pot meals back to back, but I’ve got a majorly busy week ahead of me, and I’m going to need easy go-to meals. Thursday: Ah Valentines Day…I really have no clue on this one for dinner. I’m still thinking about it, but in the words of my aunt, “Life’s too short. Eat dessert first.” Therefore, I’m making either a decadent buttermilk chocolate cake or molten heart chocolate cupcakes. These are both new “pins” that I’ve never tried before. I’m not sure which one I’ll make…I’ll let my little man decide. Friday or Saturday: Fish Tacos! I know I’ll be craving some summer food after my short trip to Florida, and what is better than fish tacos! This is my own recipe that uses tilapia, and I make a radish and mango salsa/slaw to to with it. What is on your menu? Are you trying anything new? 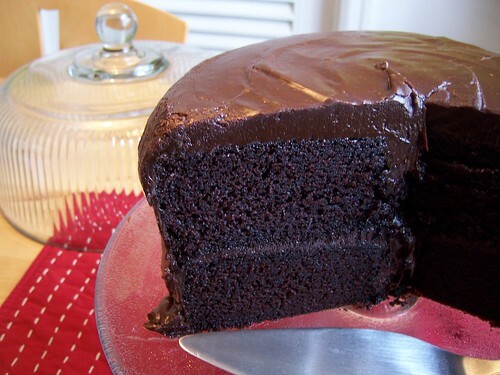 This entry was posted in Menu, Recipes and tagged buttermilk chocolate cake, crock pot brisket, molten heart chocolate cupcakes, recipe, six sisters' stuff, slow cooker cashew chicken on February 10, 2013 by fromfltond. So funny- I’ve also only been thinking of dessert on Valentine’s day! Hope you had a great time in Fl, and that your flight is on time! After a few delays I made it home at 2 am!!! Dessert is essential on Valentine’s Day 🙂 I am making tiramisu, yum! I love tiramisu! Have an extra bite for me!